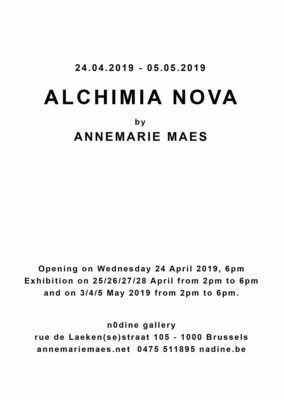 The work of AnneMarie Maes makes the invisible visible. 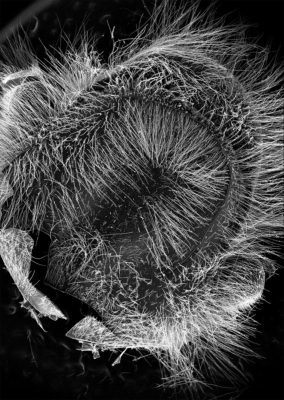 Her research has always been on the borderline between nature, art and science. 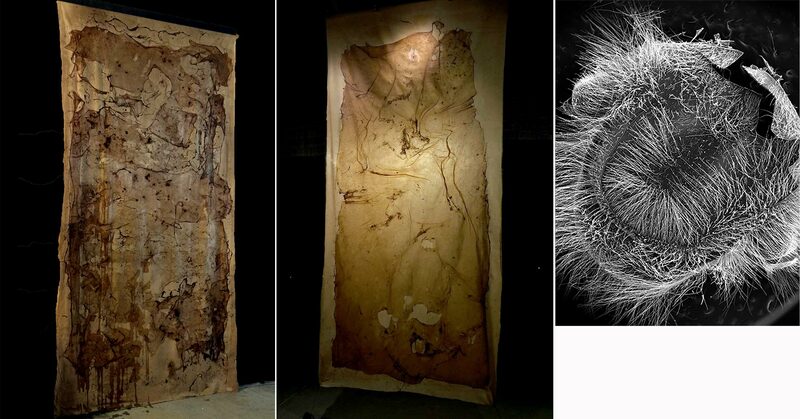 She creates with a range of biological, digital and traditional media, including bacteria and other organisms. 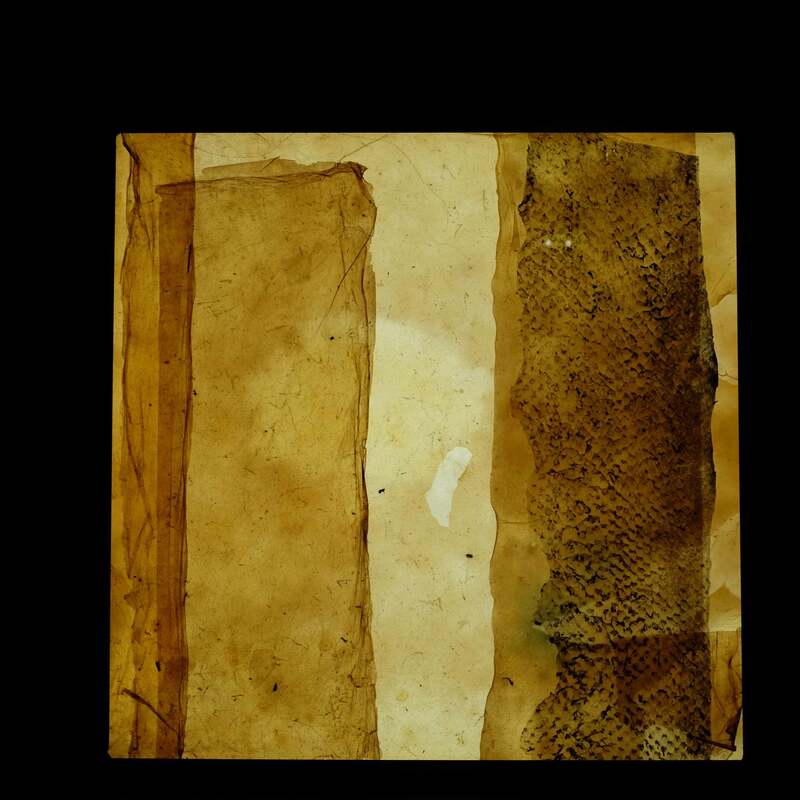 The choice of materials is a primary aspect of her artworks. The physical and aesthetic features of the materials she works with determine the forms of the individual sculptures, objects or textiles. Her artworks are appealing to touch and smell, but as well they attract the spectator in an aesthetic and visual way. 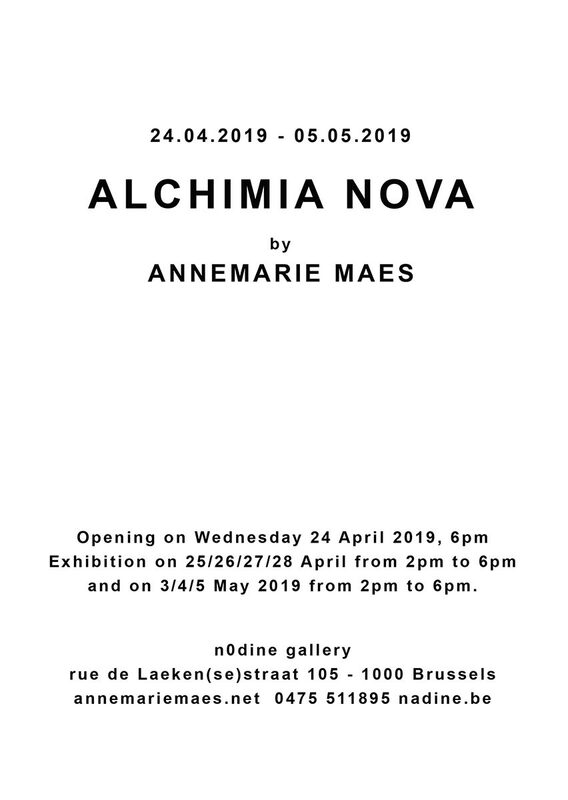 Opening: Wednesday 24 April, from 6PM to 9PM – Free drinks! 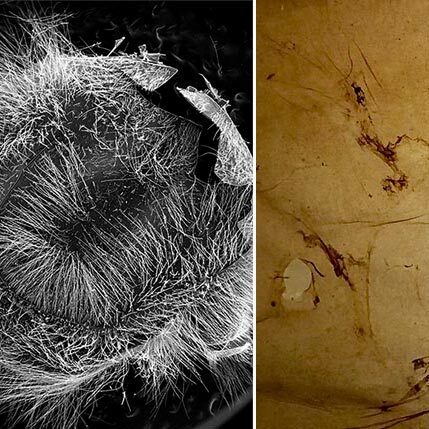 Composition with organic elements (microbial cellulose, fish skin, bioplastics, natural pigments) and Scanning Electron Micrographs (SEM) of pollen and bee-parts. 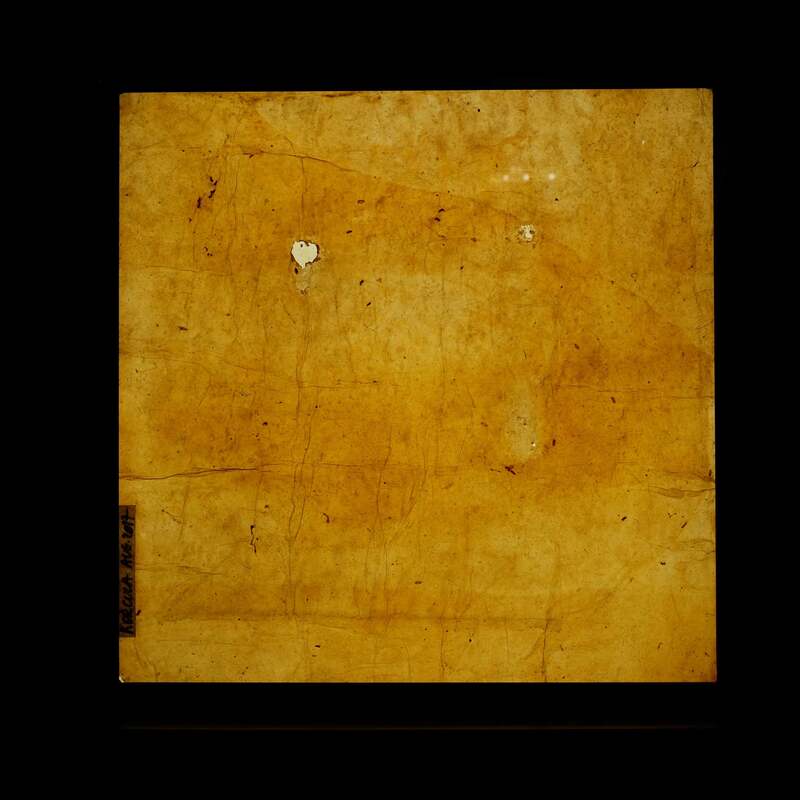 Bacterial Cellulose skins on large format, created with bacteria and yeast cells and dyed with natural pigments extracted from plants raised in the rooftop garden. In my practice, the concept of making and producing sculptures and textiles is as a form of research. The (sometimes long term) artistic process happens in layers, by actions of adding and subtracting. 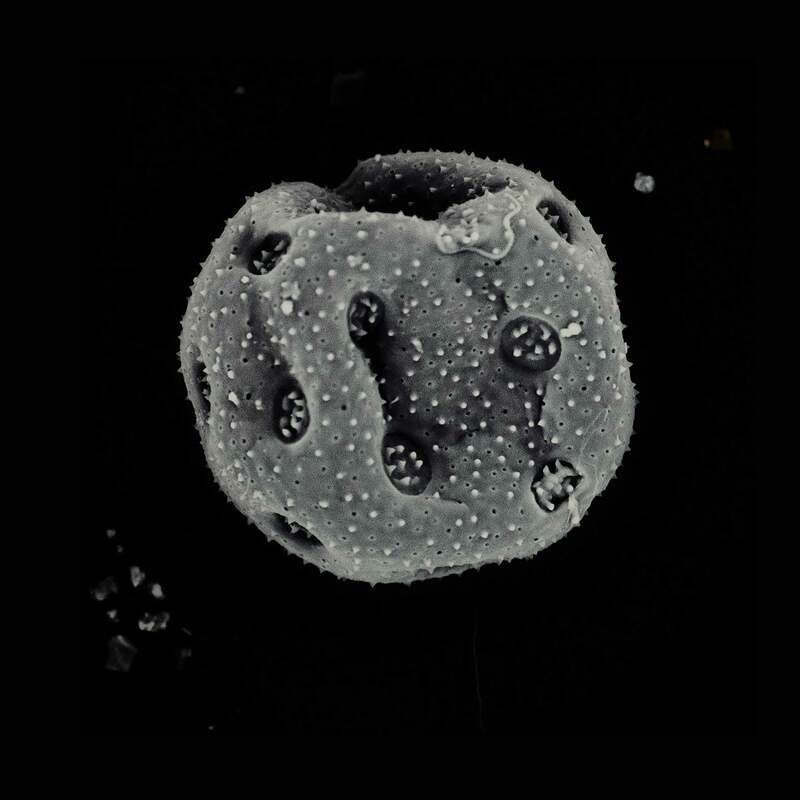 The volume of an object and its relationship with nature (micro/macro) are essential elements of my work, the concept of scale is very important. The choice of materials I work with is a primary aspect of my artistic research. I prefer natural and organic components, and I create often in collaboration with living organisms as bees, bacteria and plants. The physical and aesthetic features of the materials I work with determine the forms of the individual modules, sculptures or textiles. The resulting sculptures and textiles are appealing to touch and smell, but as well they attract the viewer in an aesthetic and visual way. 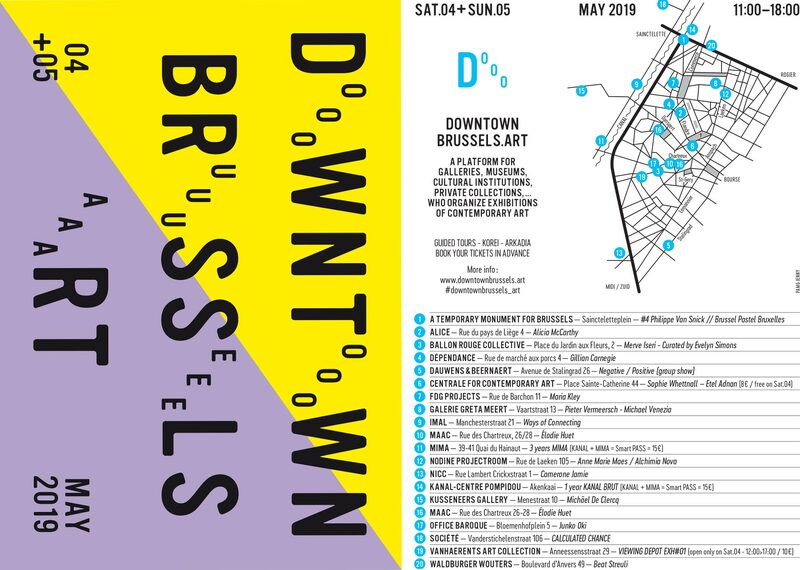 During the weekend of 4 and 5 May 2019 (11am-6pm) Arkadia and Korei will guide you through the art parcours in Downtown Brussels.